In Lana Del Rey’s song You Can Be The Boss she sings you taste like the fourth of July, malt liquor on your breath my my and I think it goes without saying that when she is kissing this alcoholic bad-boy, she is wearing lipstick. 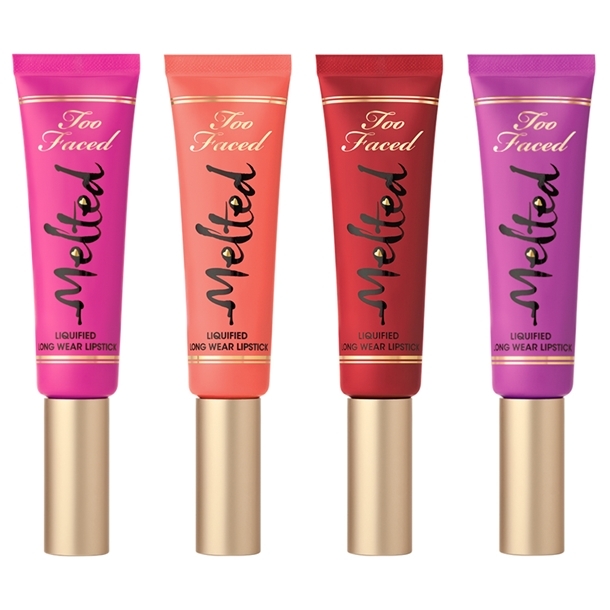 Also, I think this lipstick is Too Faced new Melted Liquified Long Wear Lipstick because July is a hot melty month. 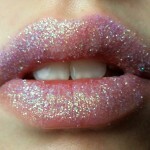 This gloss/ stain is super easy to apply and has some great staying powder. 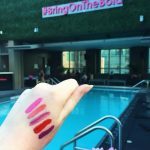 My favorites are Violet Orchid (reminds me of M.A.C Heroine) and Melted Poppy, a fun everyday pink that has just the right amount of pop without giving you a Barbie-pink pout. They are available at Sephora.com for $21. P.S. When I’m channeling our favorite plastic idol, Lady Gaga’s Viva Glam lipstick always does the trick.